We have put together some frequently asked questions (FAQ) regarding ourselves and chiropractic in general. If you are looking for some answers which are not on this list. please just contact us and will do our very best to help. Do I need a referral from a GP or other health care professional? 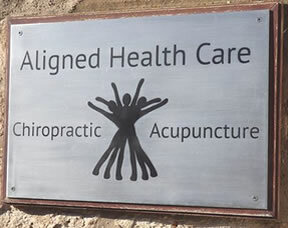 No, chiropractic is a primary healthcare profession, which means we are the first line of contact for the public and patients do not need a referral to see us. Chiropractors are highly trained in diagnoses as well as being able to refer patients to other healthcare professionals if necessary. Is chiropractic care for me? Athough the majority of patients that we see have back pain chiropractic is also very effective in helping people with a whole variety of musculoskeletal problems. If you are not sure if chiropractic can help your complaint please call or email the Clinic and one of the chiropractors will discuss this with you. This will depend on a number of factors including how long you have had your problem for, your age, your physical condition, any previous injuries and/or accidents and whether you listen to the advice your chiropractor gives you and many more. The best advice for any patient is that the sooner you address your complaint the quicker it will be to respond to care. This depends on a number of factors. For example, a fit young person with a one week history of back pain, may need two to four sessions. An older person with a long history of recurring back pain may need six to ten sessions to get better. Usually you will respond best to two visits a week for the first week or two and then less frequently as you improve. Yes, we are recognised by most major insurance companies; however please ask prior to care. The Chiropractic profession is statutory regulated in the UK by the General Chiropractic Council (GCC), in just the same manner as GPs, and Dentists are governed by their respective bodies. Since 14 June 2001 the title of ‘chiropractor’ has been protected by law and it is a criminal offence for anyone to describe themselves as any sort of chiropractor without being registered with the GCC. How long do you have to train to become a chiropractor? Chiropractors are required to study for a minimum of 4-5 years at undergraduate level. The syllabus covers in depth training in a variety of subjects including life sciences, biomechanics, clinical medicine and differential diagnosis. Practitioners also undergo practical training in adjustment and supervised clinical training, where they have hands-on practice at treating patients. Graduates undertake an additional year of supervised training as a requirement of membership. The General Chiropractic Council has a mandatory requirement for chiropractors to undertake a program of continuing professional development, (CPD), as a condition of annual re-registration. Will I be able to have treatment straight away? After the initial consultation and examination, we will generally be able to offer you treatment almost immediately for most straight forward cases. However, it may be delayed for a day or two if we need to request or view X-rays, obtain further information from your GP (for example blood test results) or if appropriate, refer you for an MRI/CT scan. Most back problems don’t show up on x-ray so we will not send you for one you unless it is absolutely necessary. In fact, we rarely need to use x-rays and we can generally provide a diagnosis based on a detailed case history and careful and effective examination techniques. In those instances where additional imaging is warranted we will refer you back through your GP for your digital x-ray or MRI. If I have Acupuncture, will it hurt ? Acupuncture doesnt hurt, the needles are so fine that usually only a small scratch is felt when they are inserted. Occassionally a sensation can be felt deep in muscle, some people can find this a little uncomfortable. If you decide not to to proceed at any stage, the treatment will be discontinued immediately. Yes, please see it set out on the Legal Notices page under the Contact tab. A data protection statement is displayed in the clinic and on this website under Legal Notices page under the Contact tab. Your consent to this Policy forms a part of your consent for treatment. A copy is available on request.